I've been an avid fan of TK Maxx for longer than I care to remember! As soon as I started getting into clothes and fashion (at an early age - much to my Mum's annoyance!) I always wanted the best brands and often couldn't afford the hefty price tag that went with them. Even though my disposable income has increased quite considerably since then and I can afford some of the high-end things I perhaps couldn't when I was younger, I must admit I still absolutely love going into TK Maxx and having a good old browse! I nearly always end up buying something there! 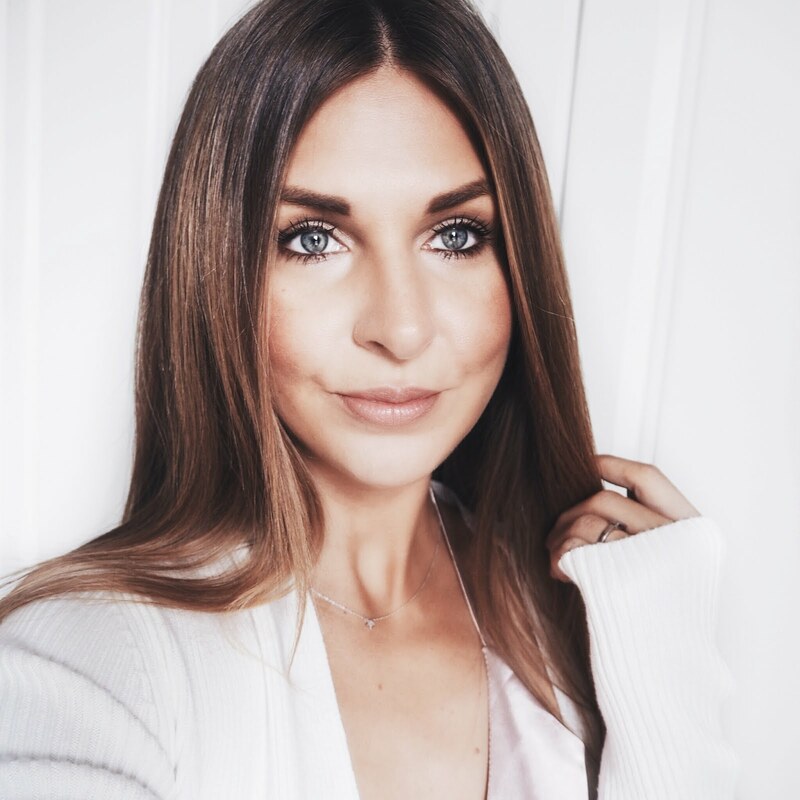 I usually pop in just to check out what new skincare they've had delivered that week (excellent selection - if you haven't been in TK Maxx for high end toiletries then you're seriously missing out!) however I always end up getting completely side tracked and finding something else completely random that I didn't even know I wanted! This is the beauty of TK Maxx, going in for one thing but coming out of the store with something entirely different! Because they are constantly having new deliveries (up to 10,000 per week!!!) there is always something new to look at. So, when I was approached to be part of their recent 'Ridiculous Possibilities' campaign I jumped at the chance! 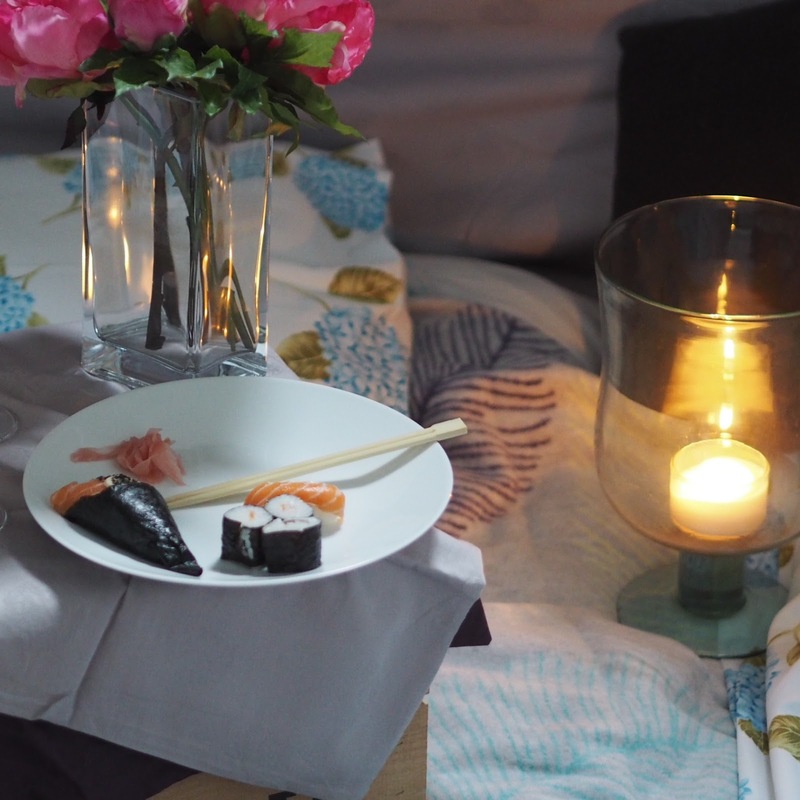 I mean, #DuvetDining - who is going to say no to that? 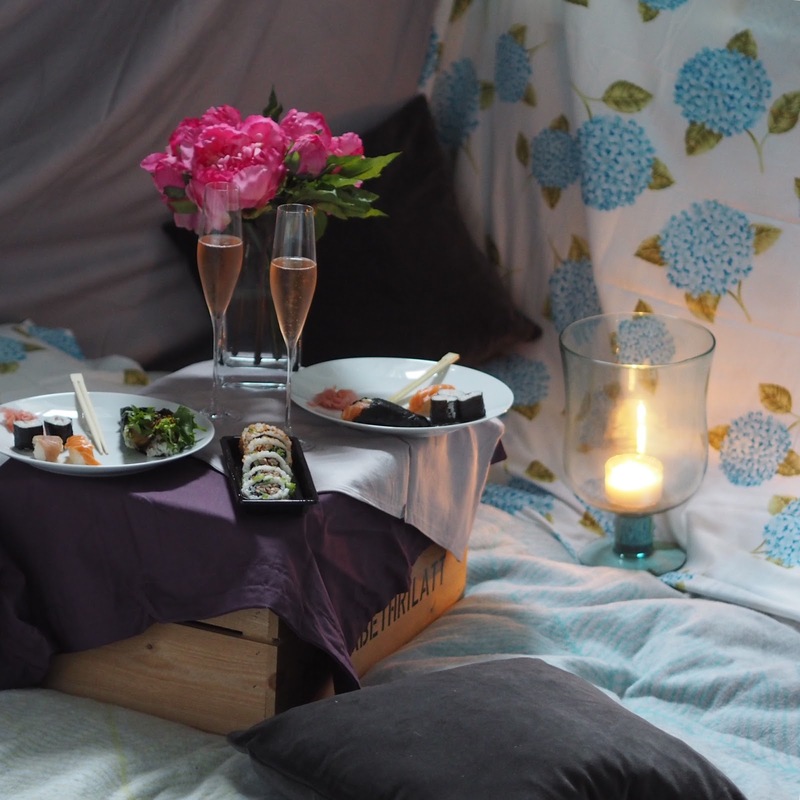 A cosy night in, wearing comfortable clothes, eating yummy food whilst sat on luxurious soft cushions and duvets? Sounds perfect to me! 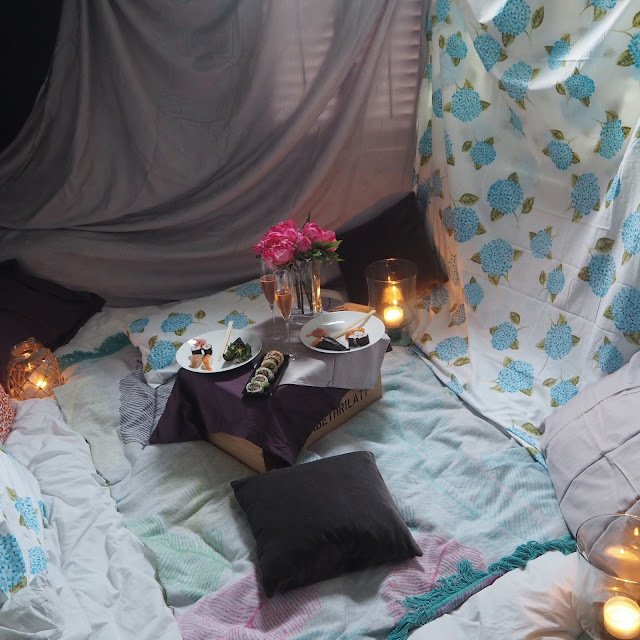 Once I'd layered the duvets, blankets and sheets and decorated the 'den' with flowers, lights and candles we waited for the food to be delivered! 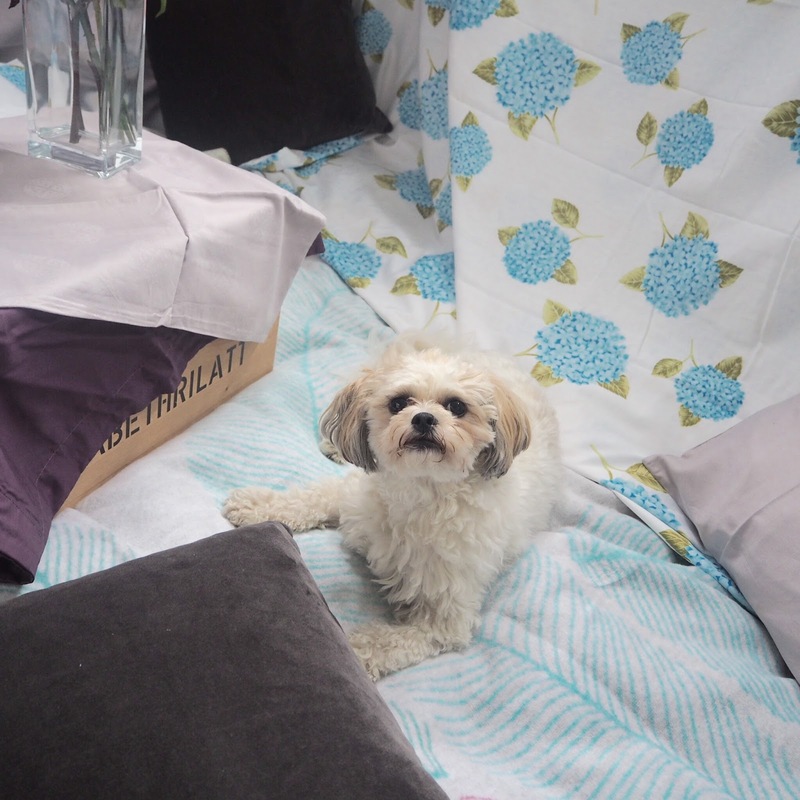 When it arrived we laid it all out on our make-shift 'table' and tucked in! I have to say, it's the most comfortable and relaxing meal I've ever eaten and I really enjoyed the whole experience. Okay so yes, it's totally bizarre and 'out of the ordinary' and a lot of you are probably reading this thinking 'yep, she's gone a bit mad!' 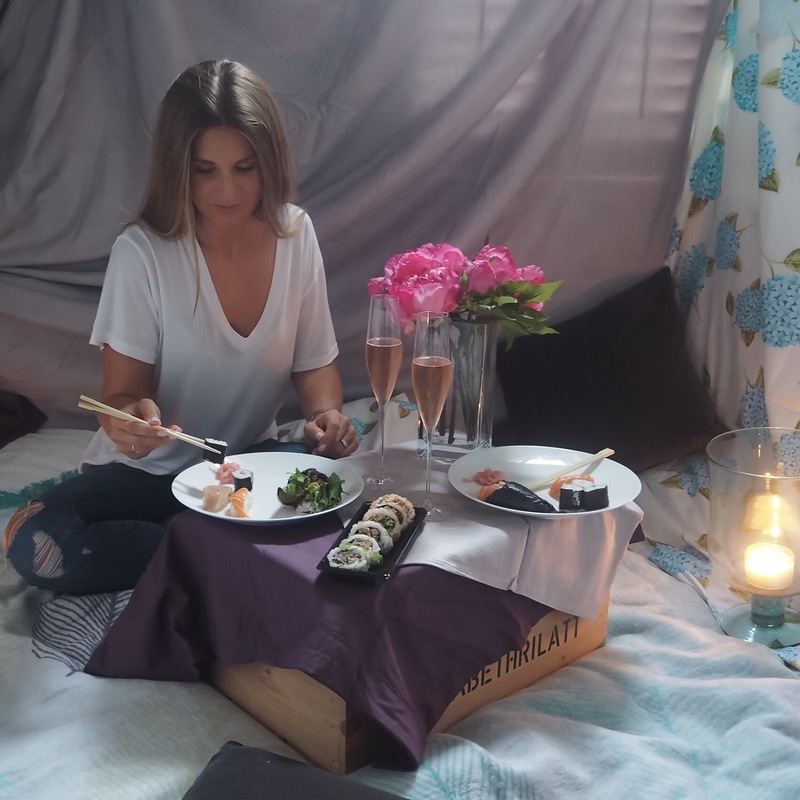 but trust me on this, if it's a rainy evening and you're planning on getting a takeaway and having a lazy night in with a film, you might want to try this! Disclaimer - This post is sponsored by TK Maxx. All opinions are my own.